Detailing the physical features, habits, territorial reach and other identifying qualities of the Tumblebug . Watching Tumblebugs gather animal dung into balls and whimsically roll them away can be entertaining for people at any age. 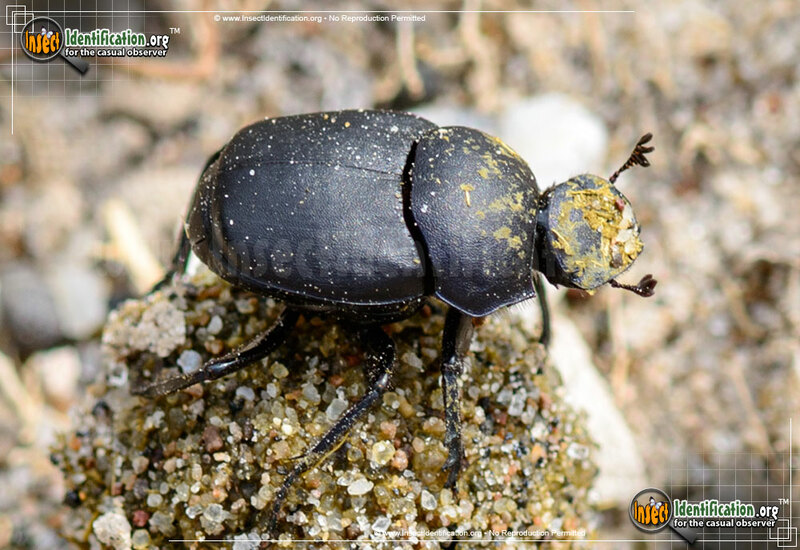 Tumblebugs are a type of Dung Beetle. 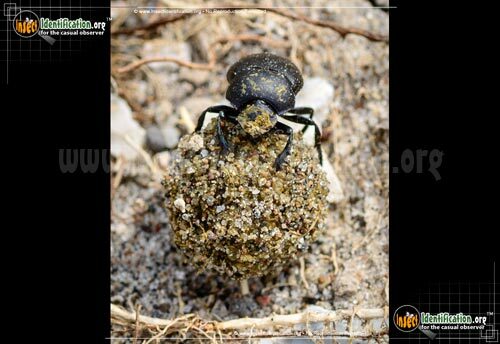 Adults are often spotted rolling balls of dung larger than themselves across the ground to an underground burrow. Their efforts to move the balls are admirable, though sometimes clumsy in appearance. Females may ride on top on one, helping to roll it with her legs, while males push from below. Once the ball is underground, the female lays a fertilized egg onto the round heap (called a brood ball), which provides the larva with food after it hatches. Other dung balls are rolled and collected as food and consumed by adults. 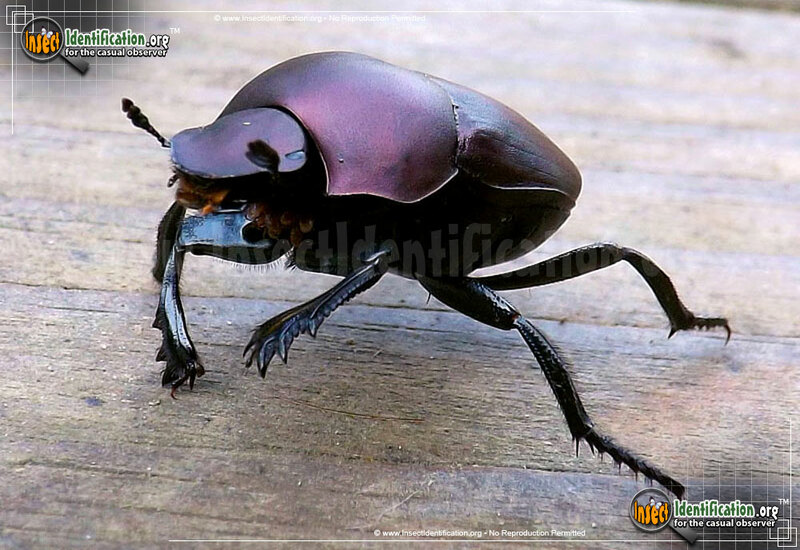 Tumblebugs are black and have strong legs. Some glossy, some are matte. Some species are smooth and others have dimpled texture on them. All of them are resourceful, making good use of what is typically considered waste.